The growing awareness of the environment is an international trend. With the advancement of specification of environmental factors, reinforcement of regulations, quantitative evaluation of environmental preservation activities, environmental accounting, and information disclosure, the impact of environmental problems on corporate activities, business and projects is expected to grow more than ever. The present situation of environmental problems is diversified, such as global warming, destruction of the ozone layer, acid rain, destruction of the rain forest, and marine contamination. They affect human life in various ways such as increasing food demand, depleting resources, chemical substance issues, as well as waste. In corporate management, due to its social responsibility, introduction of environmental management systems (EMS) such as ISO14001 is promoted. 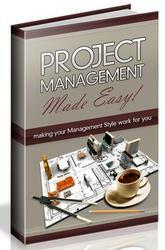 In the past level of project management, the environment had not been recognized as a field. However, since positioning of the environment has changed in corporate management, stakeholders have become strongly aware of environmental issues. Therefore, project management inevitably involves a comprehensive action in consideration of environmental problems. EMS, which is closely connected with industrial safety and health, is systemized as management concerning the environment in broad corporate activities. 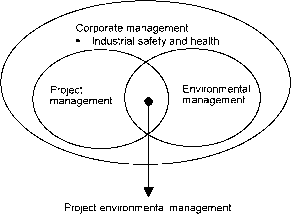 Its composition is as follows in project environmental management. Further, in line with advancement of obligations of environmental protection /restoration and evaluation of corporate activities, environmental business concerning the evaluation, consulting, cleanup, energy saving (refer to Investment Collection, P.269), etc. would be created. 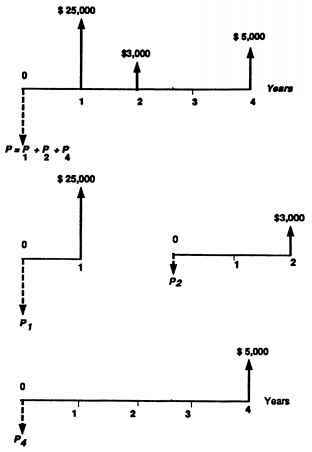 The environment would become a factor in project values, and provide value to a project at the same time.